Any business transporting waste will now require a Waste Carriers Licence. A business transporting their own waste regularly will need a lower tier licence which is currently free. A business transporting other peoples waste will need to pay the fee for the upper tier licence. "Do I need a Scrap Metal Dealers Licence?" We have been asked this by many of our regular tradesmen, how the new licence will affect them and if they fall into the category of being a scrap metal dealer. Here is an extract from the Home Office guidance (linked below). "Tradespersons will not require a scrap metal dealer‟s licence if buying or selling scrap metal is an incidental function of their business(eg being a plumber or electrician). 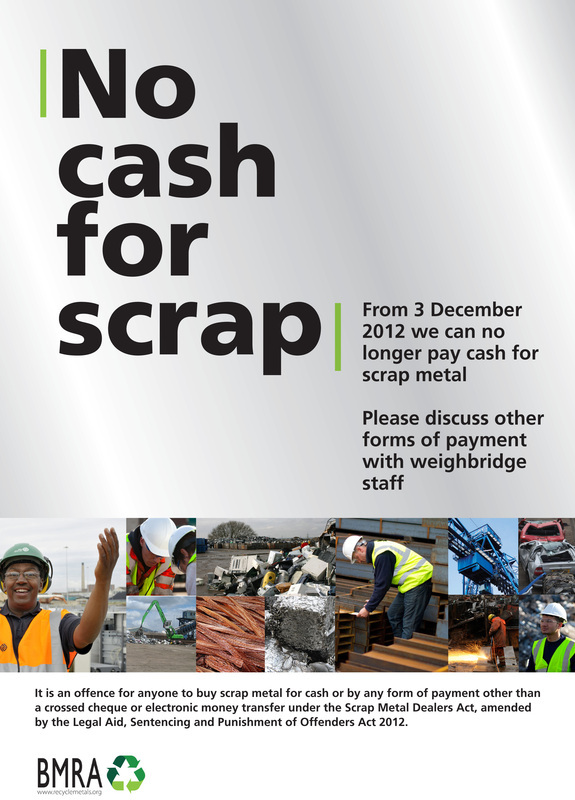 It will be a question of fact for a court to decide whether, under all the circumstances, the buying or selling of scrap metal forms the whole or part of the person‟s business, or alternatively, whether the buying or selling of scrap metal forms such a minimal part of their overall business dealings that the definition of scrap metal dealer in the Act is not made out." So, in general a Tradesman will not need a Scrap metal dealers licence as the scrap is a by product of his business, there may be exceptions to this and where in any doubt, contact the local licensing authority. 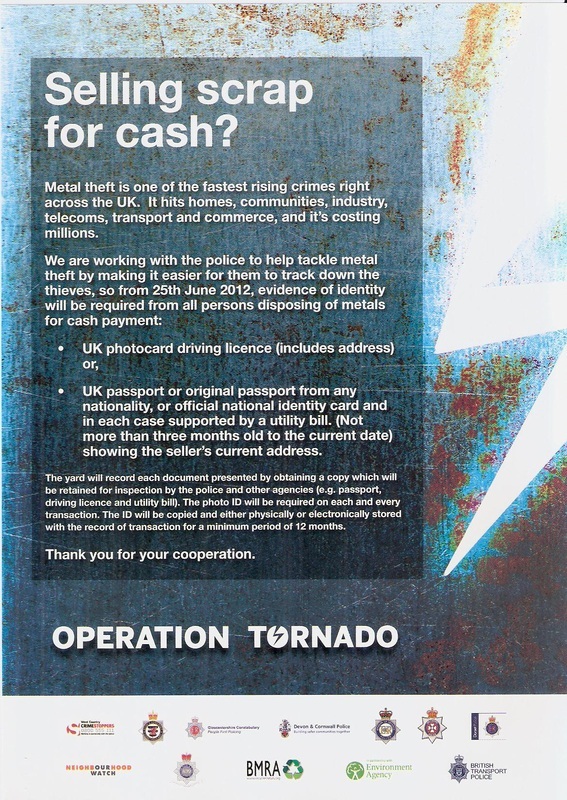 We have signed up to the nationwide police attempt that is reducing metal theft across the country, through checking photo I.D. of every customer with every metal transaction.